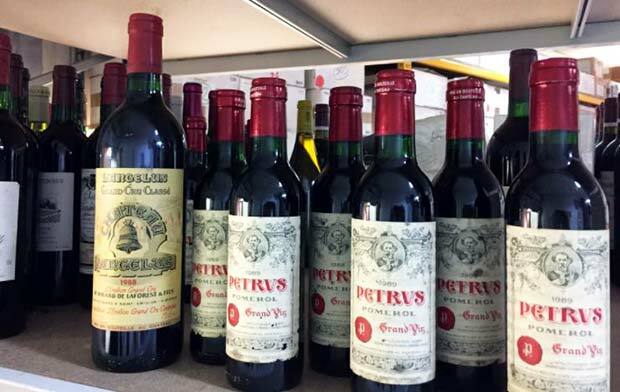 A case of Romanée-Conti Grands Crus sold for €36,723 at auction at iDealwine on 18th January, a sale that sees a price increase of 30% for each wine. 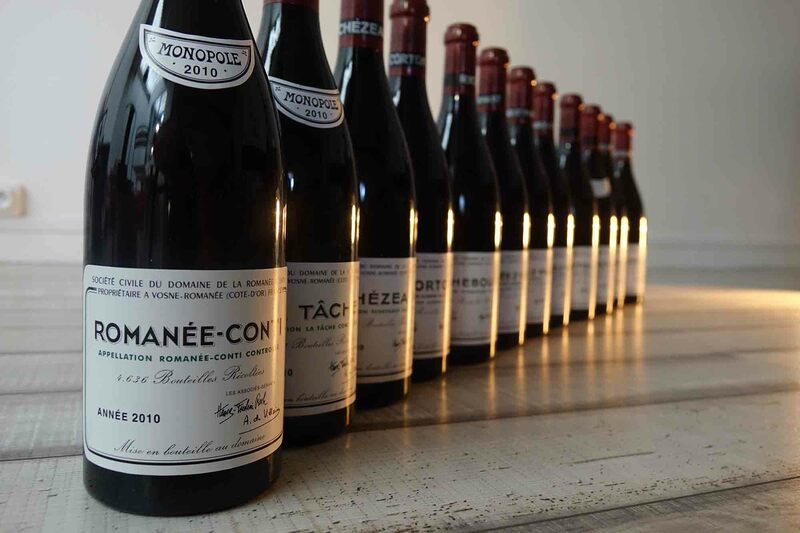 This case included some of the most sought-after wines from the legendary Domaine de la Romanée-Conti in Vosne-Romanée. This lot started the New Year off in style and sets the tone for 2018 auctions. No doubt the vintage of these wines affected the price enormously as 2010 is now being considered one of the strongest in France, especially in Burgundy. 2010 produced high quality wines with exceptional ageing potential which no doubt peaked interest in this lot. This case contained a superb selection of wines including, of course, a bottle of the illustrious Romanée-Conti as well as two bottles of the elegant La Tâche Grand Cru. Also in this case were two bottles from Richebourg, an appellation whose crus are considered among the best structured in the entire Côte de Nuits and, as a result, fetch big prices at auction these days. Three bottles of the excellent Grand Cru that is Romanée-Saint-Vivant also featured which adored by wine enthusiasts for its floral and exotic aromas. This lot also included two bottles of Echézeaux, one of the domain’s most successful wines in the 2010 vintage. Antonio Galloni (Robert Parker) praises its enormous intensity and depth. It is a wine that will develop remarkable energy and could easily be kept till 2040. Its ageing potential seems to be superior to the Grand Crus that have preceded it, truly a wine for the gods. Finally, this dream lot also boasted two bottles of Corton Grand Cru, a fairly new addition to the Domaine de la Romanée-Conti. In 2008 the domain agreed a lease contract with the heirs of the Mérode family for 1.2 hectares in Corton Bressandes, 0.57 hectares in Clos du Roi and 0.51 hectares in Renardes. This Grand Cru is, therefore, the only red Côte de Beaune under the Domaine de la Romanée-Conti label. Remember that this domain also produces two incredible Côte de Beaune Chardonnays from micro plots in the Montrachet and the Bâtard-Montrachet appellations (the latter is not commercialised). In the 2010 vintage, the Corton differs to the other Côte de Nuits grands crus from this domain, boasting a delicate finesse and a remarkable purity which beautifully enhances the delicate fruit flavours. Aubert de Villaine not long ago said that ‘what is so fantastic with Burgundy grand crus is that they distinguish themselves through their discretion, their concentration and their transparency’. As you see, an exceptional case carries a big price tag. 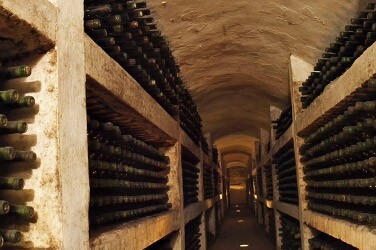 The buyer, who didn’t hesitate to pay over the odds (30%), plans to carefully look after these precious bottles. They have a long future ahead of them and will steadily increase in value over the next few years. There is no shortage of recommendations and tips for storing wine at home, from cellar to fridge. But what do you do when the bottle is already open? From methuselahs to nabuchodonosors…but where do these names come from? 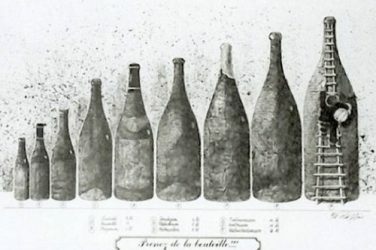 Oenophiles love offering their favourite wines in large formats, but while the magnum is very well known, other large bottles can have somewhat more complicated names.